Safa Honey is committed to providing people with the freshest, finest quality honey that not only tastes good, but also offers a plethora of health benefits. We all live in very stressful times. We are mostly slumped in our office chairs, binging on unhealthy food and letting our bodies take the hit for our ignorance. But, did you know that your energy levels are actually in your hands, only if you put in some thought to the matter and take your health seriously? 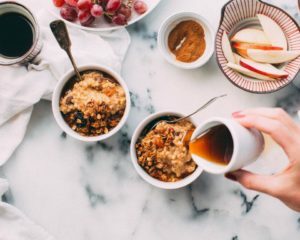 Say goodbye to coffee and caffeinated products that provide a quick fix, but fail to address the real issue- getting rid of your lethargy, the natural way. Honey happens to be an amazing source of carbohydrates, thus acting as a natural energy booster! It contains natural sugars, and trace amounts of enzymes, antioxidants, vitamins, minerals and amino acids, making it a storehouse of nutrient goodness. It’s the perfect way to regain your energy during those periods of sluggishness. In fact for years’ nutritionists and sports dieticians have recommended the inclusion of honey in pre-exercise meals for the very same reason- energy gain! Add 1 tablespoon of honey to half a litre of water and make yourself a budget-friendly energy drink! Take two slices of whole-wheat multigrain bread, and spread out honey on it along with some sliced bananas. That’s an excellent snack which will charge you up! Add honey to your morning bowl of muesli or corn flakes. The absence of sugar alone does wonders to the body! Mix some honey to your usual cup of low-fat yogurt. This will keep you fit and full! Click here to head over to our store and check out our 100% pure and unpasteurized honey varieties!